Republic of Niger is a landlocked country, situated in the Sahara, northern part of Africa. It has a land mass of 1.267 million sq km, bounded by Algeria, Benin, Burkina Faso, Chad, Libya, Mali and Nigeria and has a population of 15,306,252 million 9 July 2009 est.) Republic of Niger has its capital in Niamey. Niger’s colonial history and development follows that of other French West African Territories. Niger became an autonomous state within the French community in December 4, 1958 after the establishment of the fifth French Republic and assumed full independence on August 3, 1960. Niger is one of the poorest countries in the world, ranking near last of the United Nations Development Fund (UNDF) index of human development, whose economy centres’ on subsistence crops, livestock and some of the worlds largest uranium deposits. Nearly half of the government’s budget is derived from foreign donor resources. About 4 years ago the government of Niger lunched a massive campaign to attract investment from the Western community especially the English speaking economies of which they had so little relationship with till then; the purpose for this quest in aimed at harnessing her vast supply of mineral resources namely Uranium, Gold and even Oil. To accomplish this task, Niger needed a Foreign Mission in the United Kingdom to serve as the gateway to Europe; the English speaking economies. 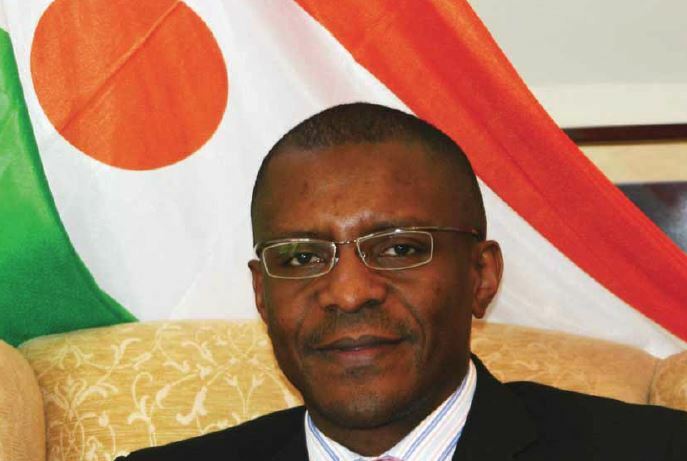 The onerous task of packaging and projecting Republic of Niger – a resource rich but poor country to Europe required an internationally reputable personality; a business tycoon with a good grasp of economics, with tenacity and a good understanding of international diplomacy, was given to His Excellency Dr Chuma Igbokwe. HE Dr Igbokwe is a UK trained specialist medical practitioner who built up a successful business group in the UK ranging from Health Care, Real Estate, mining and Maritime Security. His track record earned him a nomination for a UK award in 2005. HE is one of the most successful black businessmen in UK: He assumed the office accordingly and in no time set up the Niger Consul Office in UK and within a year the Consul website became the premier web representation of the country to the world. In addition to this, he also embarked on a massive media campaign to showcase Niger as a potential tourist resort, which led to a tremendous increase in the number of tourist visiting Niger in the last 2 years. Dr Igbokwe has also worked tirelessly to finalise agreements on the setting up of an All Party Parliamentary Group (APPG) for Niger in the UK which is currently in ratification. In his capacity as one of the official delegates of Niger; Dr Igbokwe attended a number of international conferences and meetings. HE attended the 64th United Nations General Conference held in New York; HE attended the African Union Summit in Addis Ababa, Ethiopia 2010; and participated in a number of parliamentary sessions. HE had also been part of Niger’s official delegation to Aso Rock Abuja the office of the president of Nigeria for bilateral talks. HE Dr Chuma Igbokwe was born in Lagos, Nigeria to Mr and Mrs Olekanma Igbokwe who both hail from Umuahia in Abia State. He had his early primary and secondary education in Lagos having attended the famous Baptist Boys Academy, Obanikoro Lagos from where he proceeded to the University of Ife Medical School, Ile Ife. Upon graduation HE proceeded to the UK where he bagged the prestigious Membership of the Royal College of Psychiatrist, Fellowship of the Royal Society of Medicine UK, Diplomat of the Royal College of surgeons and Physicians of Ireland. He also holds a post graduate management qualification from the University of Surrey, Guildford as well as been a member of the Institute of Directors (IOD), UK. HE, Dr Chuma Igbokwe is no doubt utilizing his vast experience in international diplomacy to attract Western investments to Niger and to position the country for growth and development. We appreciate and celebrate his commitment to the need and aspirations of the country.